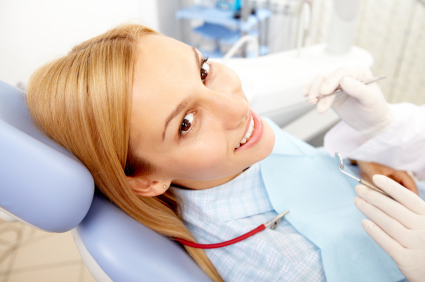 Many people aren’t sure why they would want to see a periodontist in Westchester. As long as you brush every day and see a dentist to clean your teeth, why worry about the various dental specialties? But periodontics play an important role in keeping your whole mouth healthy, and sometimes a periodontist is exactly what you need to stop decay in its tracks. The most obvious feature of your mouth is the teeth, perhaps followed by the tongue; compared to them, gums are almost an afterthought. But the gums and bone of your mouth are essential to keeping your teeth firmly in place, not to mention maintaining their health. The gums attach your teeth to your skull, when otherwise they would only be tethered to the rest of your body by the sensitive nerves running through the tip of each tooth root. When the gums are diseased, the teeth are in danger of loosening or completely falling out. The problem with gum disease is not so much the symptoms at any given stage, as the fact that, left to its own devices, gum disease progresses until the structure of your mouth is entirely destroyed. What starts as mild gingivitis—swelling of the gums—ends with severe bone deterioration, deeply infected periodontal pockets, and empty gums where a full row of teeth once stood. If you are suffering from gum disease, particularly if it’s too strong to treat at home, Dr. Loshak and Dr. Celenza may be your best bet for treatment. Gums and gum disease are the focus of a periodontist’s training, which continues for years after completing an ordinary dental degree. The core of any treatment plan is removing the tartar, plaque, and bacteria that are irritating and infecting your gums. To do that, we use specialized instruments to scour these unhealthy deposits from your teeth, both above and below the gumline. While these procedures may be supplemented with antibiotics, dental implants, and gum surgery, curing your periodontal disease depends primarily on cleaning tartar from your teeth once and for all. The sooner we start, the better for your mouth—so call Advanced Dentistry of Scarsdale, your Westchester periodontist, for an appointment today.